If you have ever been accused of not knowing what a hole in the ground is, and who hasn’t, this is the summer to rectify that educational oversight by visiting some of coolest places in California, the State’s unique caves. To start this trip we pointed the Audi A6 sedan with its all wheel drive and 350 horsepower V8 toward Los Angeles. This is a spacious car with a stunning interior, gets 22 mpg on the highway, and has a great Bose stereo. There are airbags everywhere and the big brakes and eager suspension make mountain travel easy. The satellite radio made travel in the deserts more pleasurable as most AM/FM stations don’t cover that area. We were pleased with the tight turning radius and good visibility, but the most pleasing part of using this Audi was that the entire family had room to sit comfortably and you could turn up the surround sound stereo to drown out the whining about why the dog couldn’t come. Seeing the caves of California requires a bit of research as there are many and some are just too tight for the middle-aged masses. The best places we found were online and are listed at the end of this article. Two elements to consider are whether you want to go look at the caves or really explore the caves by crawling through them as a real spelunker. Either way this is an entraining and educational adventure. The closest cave to PCH is also one of the biggest movie stars in the world with over 40 screen credits to its credit. Bronson Cavern is really just a short tunnel, but it has been the setting star of television mainstays as Batman and move blockbusters such as Roger Corman’s The Saga of the Viking Women and Their Voyage to the Waters of the Great Sea Serpent and The Three Stooges Meet Hercules was filmed. Now that is status. To get there take either Bronson or Canyon Avenues from Franklin into Griffith Park. When the road ends you can hike up the unpaved road and on the right you shall behold the famous site. If Batman isn’t in the cave you might want to check out Wayne Manor at 380 S. San Rafael Avenue in Pasadena. Heading north we experienced the Audi’s relatively quiet highway ride as we headed toward the Crystal Cave in the Sequoia and Kings Canyon National Park. It is considered a very impressive cave that is has about 10,000 feet of passages and inspiring spelothem. Marble Hall, the centerpiece of the cave, is 175 feet long and 60 feet wide. There are tours run by the Sequoia Natural History Association that take about an hour and include viewing of the Organ Room and Dome Room. In the same general area, and considered one of the best caverns to visit, is Moaning Caves in Vallecito. It is huge and, as you might have gathered, makes a moaning sound. Features include a huge main chamber, a rope descent, and activities for all ages. Located near Calaveras, this is a must visit and is fun and educational. Want to visit Middle Earth? Check out the California Cavern, the first cave opened to the public about 150 years ago. It is close to Angels Camp and has unique crystalline formations. Some speleothems, such as the beaded helictites found in the Middle Earth area are said to be quite rare. Another cave worth visiting is Black Chasm featuring an enormous Landmark Room with stalactites, stalagmites, and exceptional helictite crystals.Gemstone mining for the children is also offered. Located in Volcano, California. Sutter’s gold mine is especially interesting in that it is close to the Lincoln Mine from which Leland Stanford extracted his money to finance the Central Pacific Railroad and Stanford University. It is located near Camptonville. The Sixteen to One Mine is a working a museum and mine and is extends well over 1000 feet below the sunshine. You experience first hand a miner’s existence at this cave. Located in Alleghany, California. For those who are into the exotic, try visiting the Lake Shasta Caverns. In order to see them you need to take a boat ride and a bus ride to see these, but neither one takes much time. You catch the boat at the marina that takes you across the lake where a bus follows the road to the cavern site on the side of the mountain. Inside there are stalactites and stalagmites and those flowing speleothems in this 200 million year old cavern. North of Redding. If those are too far north try Mushpot Cave is located beneath Indian Well Visitor Center, at the southern end of the Monument. This tube is lighted during business hours of the visitor’s center and contains exhibits about lava tube geology. All other tubes are in a more or less natural state. If it is open Fern Cave is worth a reservation to visit to for nothing else to see ferns growing near the entrance and the 10 pictograms said to be from around the year 1000. Mitchell Caverns has El Pakiva, Tecopa Cave, and Winding Stair Cave and are famous for some rare speleothemes. It is a long walk so be prepared, especially in the Mojave Deserts summer. Guided tours last over an hour and the cave’s limestone stalagmites finally give you a chance to see what you studied in elementary science class. About 60 miles from Needles. Scattered around the state are a number of caves worth mentioning starting with Pluto’s Cave, a popular exploration spot with plenty of spelunking practice areas. Pluto is located north of Weed, California.La Jolla has seven sea caves can be reached by a tunnel from the Cave Store or by kayak. Used for a variety of movies, one of the caves even leads to the sea. On the way home we visited Shell and Pismo Beach and the sea cavern under Dinosaur Caves Park. It is located just off Highway One. The caves are best viewed at sea level and you can rent a kayak. There is a fenced off hole in the ground where you can get a partial look down into the cave, but the view from sea level is the best and a great way to end our journey. 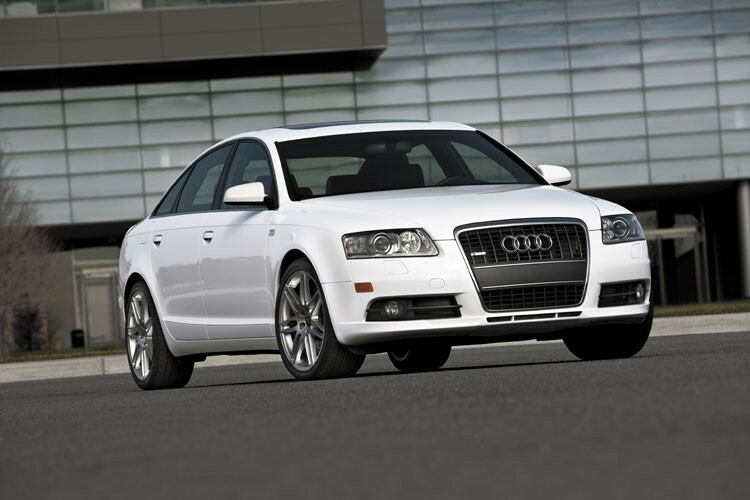 The Audi was an excellent choice and with a base price of just over $43,000 a good value for the base sedan. The Car Family’s favorite was Moaning Cave that gave everyone the opportunity to learn rappelling by going down the165 feet into the huge main chamber of the cave and caused us to rename the cavern, Screaming Cave. Great resource for types of trees.